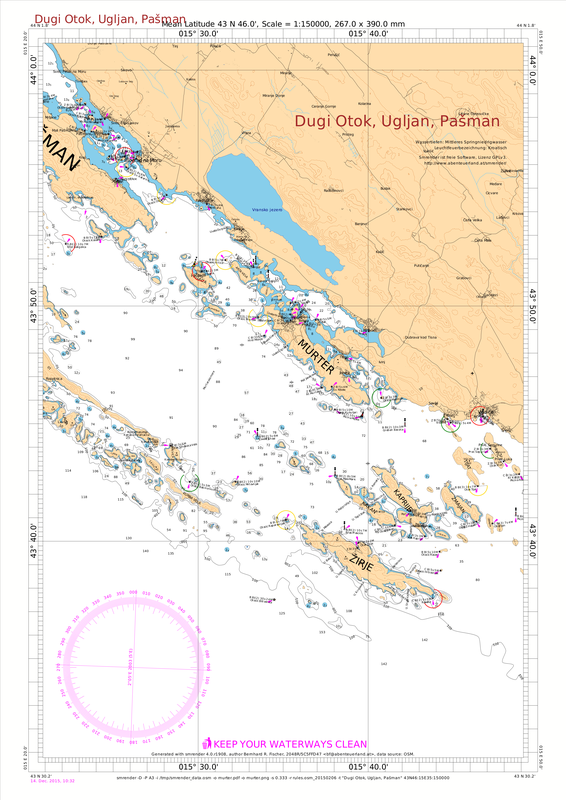 croatia-20160514_N_A0.pdf pdf 29.4 MB 15-05-16 Norhtern part of Croatian Adriatic Sea, A0 format, 1:200 000.
croatia-20160514_S_A0.pdf pdf 26.7 MB 15-05-16 Souther part of Croatian Adriatic Sea, A0 format, 1:200 000.
humber_estuary.pdf pdf 1.5 MB 16-05-16 Sea chart "Humber Estuary", A3 format, 1:100 000. 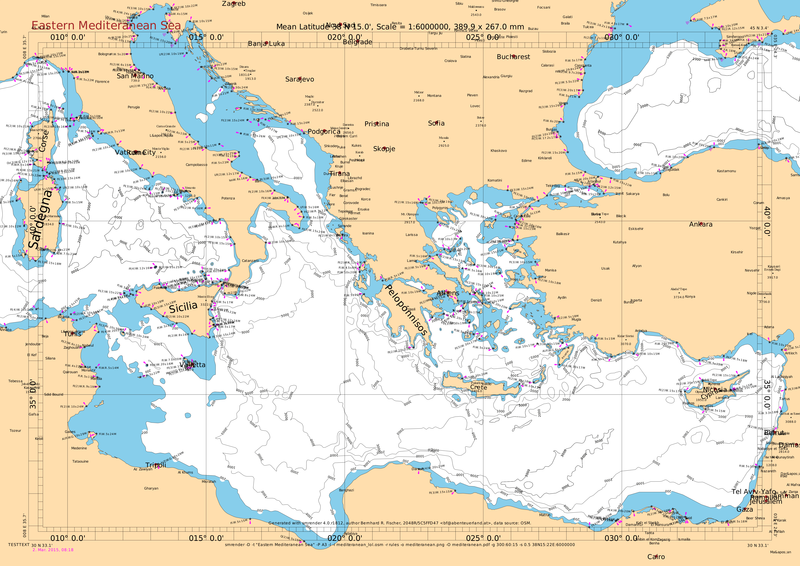 INT-1463.pdf pdf 9.9 MB 15-05-16 German sea chart INT-1463, A0 format, 1:100 000.
mediteranean.pdf pdf 1.9 MB 02-03-15 Pilot chart "Eastern Mediteranean Sea, A3 format, 1:6 000 000.
murter.pdf pdf 2.3 MB 14-12-15 Sea chart "Murter, Kaprije", A3 format, 1:150 000.
murtersko_more.pdf pdf 4.2 MB 27-07-18 Sea chart "Murtersko More", A2 format, 1:100 000.
murter_imstyle.pdf pdf 2.1 MB 21-06-13 Sea chart "Murter, Kaprije", Imray Tetra chart colors, 1:100 000.
sukosan.pdf pdf 4.4 MB 15-05-16 Sea chart "Dugi Otok, Ugljan, Pasman", A3 format, 1:150 000. 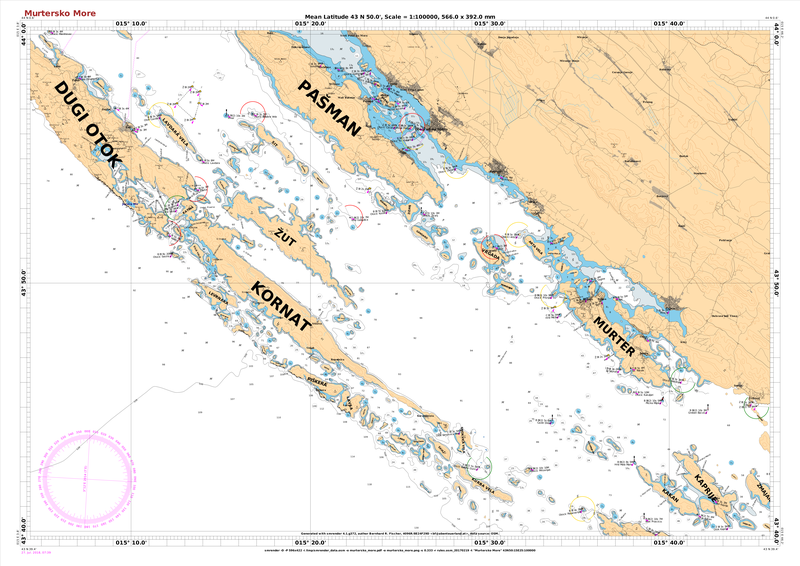 All files are available under the licence.